Apple today released macOS Sierra to the public, making the latest Mac operating system available for free to all Mac users around the world. Apple seeded eight betas of macOS Sierra and multiple versions of the golden master before its official launch. 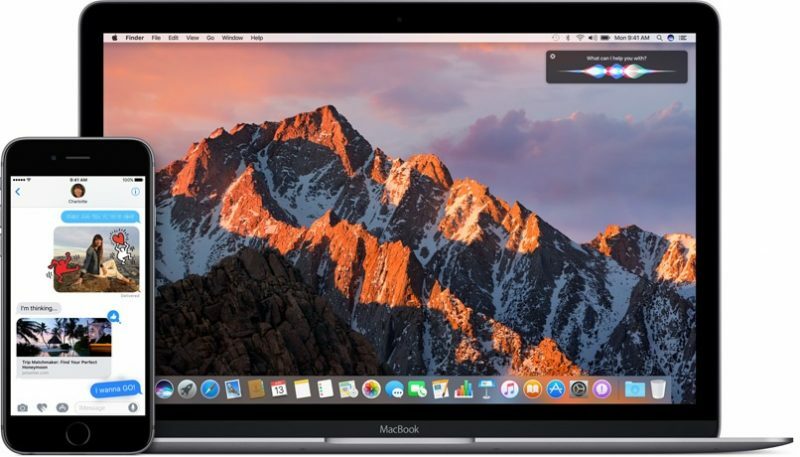 macOS Sierra (10.12), which follows OS X Yosemite (10.10) and OS X El Capitan (10.11), features a new name that brings it in line with Apple's other operating systems, iOS, watchOS, and tvOS. The update focuses heavily on introducing new features to better integrate with the iPhone and Apple Watch and improve user experience. macOS Sierra brings Siri to the Mac, allowing users to conduct voice searches to find files, look up information, and more, with the ability to pin searches to the Notification Center for continual monitoring. There are new Continuity features including an "Auto Unlock" option for unlocking a Mac with an Apple Watch, and a "Universal Clipboard" option for copying text on one Apple device and pasting it on another. Better iCloud integration allows files stored on the desktop and in the Documents folder of a Mac to be accessible on all of a user's devices through iCloud Drive, and there are new deep learning algorithms in Photos for improved facial, object, and scene recognition that make searching for specific photos a whole lot easier. A "Memories" feature in Photos displays collections of pictures and resurfaces old events, while Messages features rich links, bigger emoji, and Tapback response options. More information on macOS Sierra can be found in our macOS Sierra roundup, which includes details on all major features and a list of more minor changes. Our forum members are also discussing Sierra's new features in our macOS Sierra forum, and we encourage readers to join in with questions and new discoveries. Will I need an iPad to restore my Mac afterwards? I still read "macOS" as rhyming with "tacos", and this is making me hungry. Alright folks, if you haven't learned from last week - you might want to wait a little before downloading. And definitely backup your system with Time Machine or a cloning solution. Looks like my job for tonight is my annual fresh install! It may not be necessary but I do it out of habit and to keep my mind at peace. Clearing out a year's worth of hidden cache and junk files feels good! I don't get it why people bother to do a clean install, I've been using OS X since 10.0 b and never reinstalled, always installed the new OS over the existing OS, had some bugs but they were always fixed, by myself or an update. Point is, no need to do a clean install, it's not windows. The most boring Mac OS ever released. does it give me the option to install the jack back on my iPhone 7? Though gotta say I do love that new clean install feeling.